The links provided in this section highlight the many great features of the app, our company , and our founder and the creator of the app. We will also be adding our advisors, and our app developer in the near future. Equally important, however, we would like you to know a bit how this app came about. 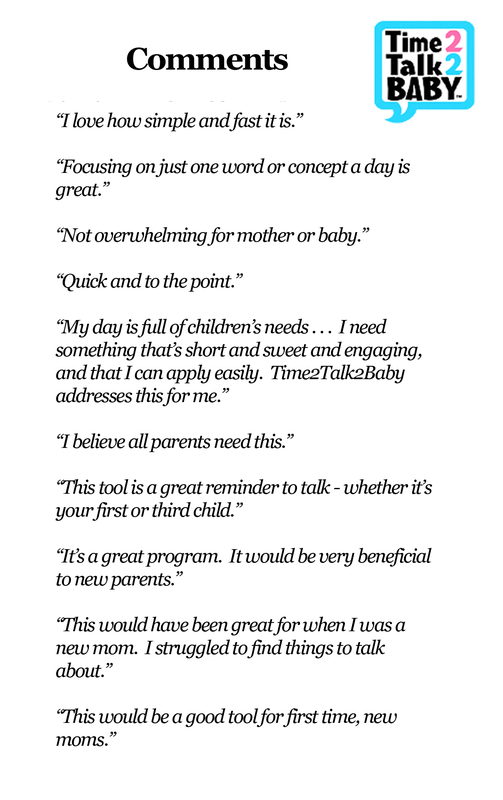 Time2Talk2Baby was developed over the course of several years, with the input of many people. Some gave anonymous input through SurveyMonkey's platform, others cannot be named because we assured them confidentiality. 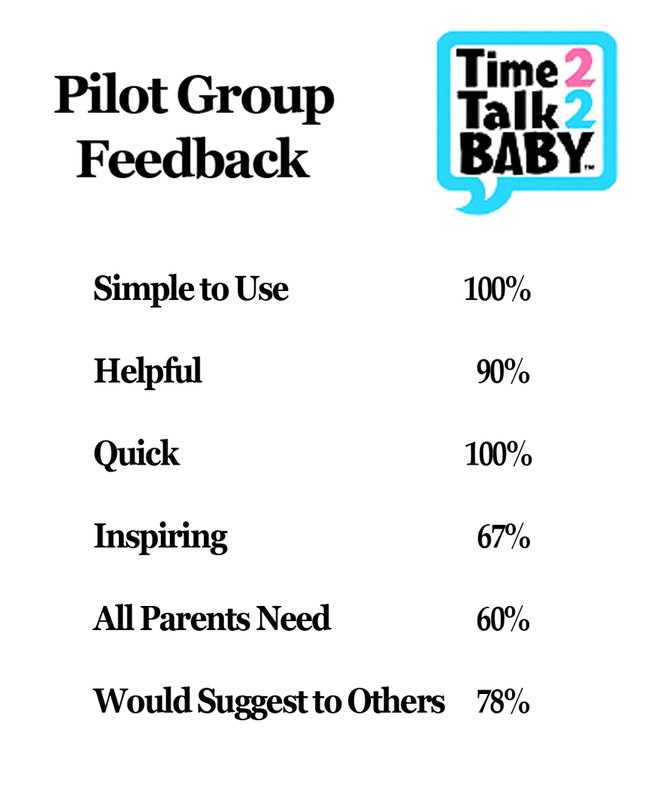 Despite not being named, they provided critical input and suggestions during Time2Talk2Baby's development, and deserve a huge shout out of thanks! To indicate just how important these contributors were to the effort, the following provides an outline of the process of creating this app, and the suggestions and comments that helped shape it's content. A call for people to complete an anonymous survey was put out to first assess the concept idea of the program in the fall of 2014. 76 people responded and the overwhelming response was positive. In November of that year, a pilot was designed to test how the idea might work. 21 women agreed to participate. Nine were early childhood providers, consultants or pediatric nurses. The rest were moms with small children. 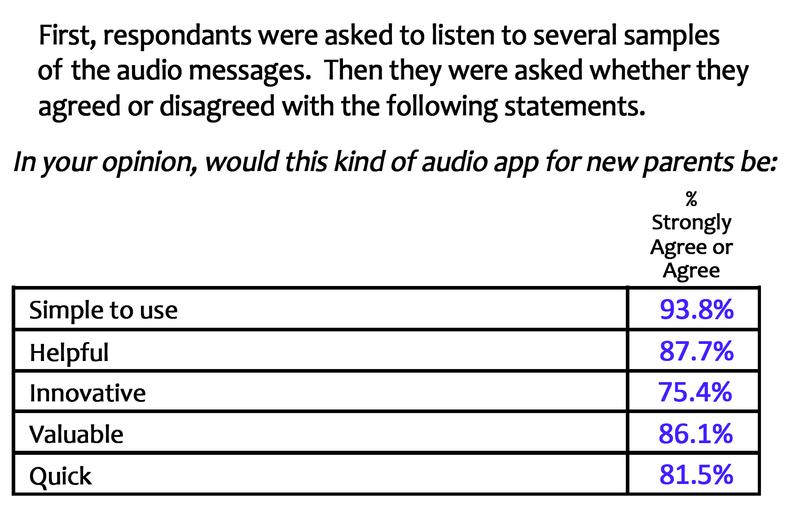 Each was sent one month of messages, with nearly identical results. Their comments are below. We invite you to learn about the experimental study we undertook, and the impact it had on mothers and their babies.